Sunday, June 1, 7 p.m. - The "It's Complicated" Show: imperfect, impolitic, infuriating... love. From not knowing exactly who you married to obstacles that may be more than any couple can bear. Sunday, May 25, 7 p.m. - The Failure of Flight: in one story a man mysteriously falls from the sky onto a sunny London street, and in another, a plane crashes into a mountain side, and an 11-year-old walks away alive. Sunday, May 18, 7 p.m. - The Kid's Secret Places Show: where kids go to get away; from themselves, their troubles, the rules they're supposed to follow, and of course, their parents. Sunday, May 11, 7 p.m. - The Color Show: stories about a purple hotel, a family who argues over their skin color, a singing rainbow and more. 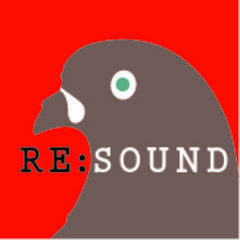 Learn more about Re:Sound and hear more episodes by visiting the Third Coast Radio Festival.